Rafael Mu	ñoz-Carpena’s research focuses on the development and evaluation of hydrological monitoring and modeling tools to improve water quality and mitigate the impingement of agriculture on natural systems. 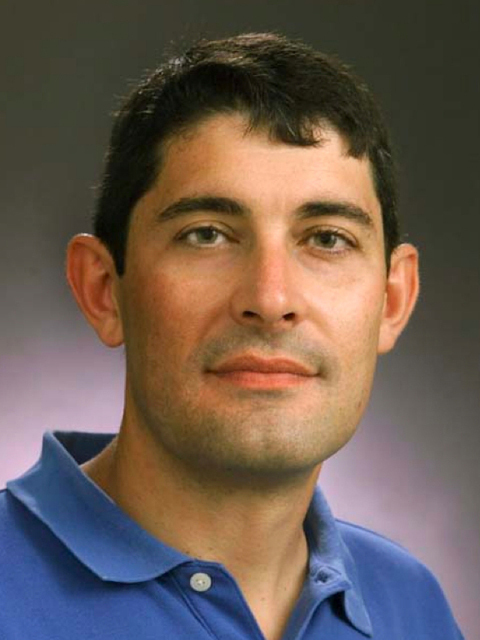 Muñoz-Carpena conducts his research throughout Florida, the USA, and abroad (Latin America, Europe, and Africa), where he has developed several novel computer-modeling tools to determine surface runoff pollution and to predict subsurface chemical leaching from anthropogenic landuse systems. Muñoz-Carpena’s interest in the development of water quality models as research-based management tools started early in his career. The model he developed during his Ph.D., VFSMOD, and since enhanced by the work of his graduate students, has been accepted as a reference tool for study and design of vegetative filter strips (VFS). VFS consist of densely vegetated areas placed between disturbed lands (i.e. in agro-forestry, mining, road, construction, and urban settings) and a receiving water body, which are commonly used to trap surface runoff contaminants like nutrients, sediment, and pesticides. The model has received renewed interest in the context of surface runoff pesticide control, both in the U.S. and Europe. In the U.S., for registration of pesticides that do not pass the U.S.-EPA higher-level environmental exposure assessments, VFS are often mandated for fields where such chemicals are used. Muñoz-Carpena’s recent research showed that successful design and assessment of VFS pesticide trapping efficiency requires consideration of complex local hydrologic and sediment processes only made possible through a mechanistic model like VFSMOD. His current work indicates that, when VFSMOD is integrated into the U.S.-EPA environmental exposure framework, effective filter characteristics can be identified, and this agency is now evaluating its adoption in the regulatory and environmental management process. In the European Union, the model is being applied through the identification of E.U.-FOCUS benchmark scenarios that will serve as the basis for future VFS requirements for pesticide and registration use. In 2006, Muñoz-Carpena led development of a generic modeling library to simulate surface water chemicals in the Everglades wetlands, which provided state and Federal agencies capacity to meet Environmental Restoration Standards. A recent focus of his research is the robust and objective evaluation of integrated hydrological, ecological, and socioeconomic models via consideration of model uncertainty and the sources of model sensitivity.